Do you want to lead a stress-free and a debt-free retired life? Check out 12 ways on how retirees can slash their expenses and enjoy their golden years. These are not so difficult but smart ways to enjoy retired life free of financial worries. Retired life! Everyone aspires to enjoy the golden years free of stress and debt. However, not many people are fortunate enough to retire with a huge amount of net worth. But that doesn't mean you’d have to compromise with the enjoyment. 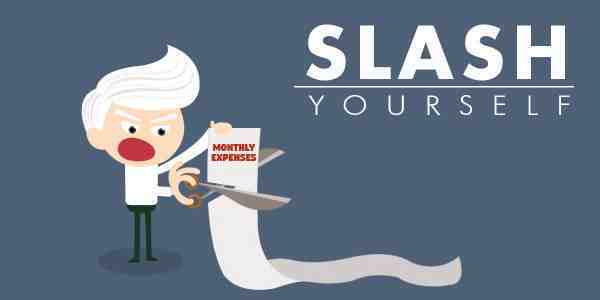 What you have to do is slash your unnecessary expenses to use the money where you want to. Check out 12 tips on how retirees can slash expenses. Budget - the basic thing in financial planning, and you need to plan a new one when life changes occur. So, when you are retiring, plan a budget taking into consideration your present income, expenditure, and liabilities. Like always the financial experts say, you won’t be able to plan the perfect one in the first go. Practice and patience will make you perfect. If you have a limited amount of retirement savings, you can make it last longer by moving to a place where the cost of living is relatively less. Calculate your retirement savings along with your Social Security benefit and calculate the number of years you can sustain your present lifestyle. For example, if you’re presently living in Orange County, California, you can save quite a bit if you move to Phoenix, Arizona. You can get a decent house at a much lesser price. So, you won’t have to compromise with your present lifestyle much. However, before moving to an area research a bit to be sure that it’s a safe locality. As per a report published by the US Department of Agriculture, whatever we buy, we waste about 25% of it. So, you can save a significant amount if you can stop wasting food. Make a meal plan for the week in the weekend and purchase just the things you need. Serve smaller portions of food; if needed, you can take a second serving on your plate. Store the leftovers such that that it stays fresh and include it in the next menu. Restrict eating outs once or twice a week. It is also a healthy alternative to have home-cooked food. Researches reveal that a significant portion of the retirees, aged 65 and more, have mortgage debt. Even a number of people aged 75 and more continue paying back their home loan debt. If you are about to retire and still continue paying your mortgage debt, a good alternative is to sell off the property and use the cash to buy a smaller home and have extra cash, too. Having debts at retirement will reduce your liquid cash as you’d have to use the money to repay dues. For example, if you have full equity in your home, you can use the cash elsewhere which otherwise you’d have to use as mortgage payments. You should try to ditch your bad debts, at least, before retirement. For example, credit card debt should be your top priority to pay off before you retire. If you have a large amount to repay and it’s not possible before retirement, then make a plan to repay the debt as fast as you can. The government offers several tax breaks, for the retirees, on qualifying investment expenses, health expenditure, Medicare premiums, and so on. The retirees are eligible for a bigger standard deduction, too. You need to look for other discounts too. Some supermarkets offer a certain discount to the seniors on particular days. However, you'll be able to know about these discounts only if you ask about it. Ask your service provider to compare your spending to other similar households in your area. You can also ask to give you ideas about how to reduce spending. For example, setting an optimum temperature in the thermostat, using energy efficient bulbs, and unplugging certain devices when not in use, are some ways to reduce energy cost and in turn, utility bills. If you opt to relocate, you can look for a place with the temperate climate to save on energy bills. After retirement, one car may be enough if you and your spouse don’t have to go to different places for a job. Both of you can use one vehicle and eliminate gas, insurance, and maintenance cost to a great extent. If you live in a city with good public transportation, then you can use it and keep the car for occasional or weekend use. Homeowners insurance and auto insurance are highly competitive. So, when your policy is up for renewal, compare the coverage offered with the premium cost. You can drop coverage which you may no longer need. For example, if your vehicle is old, you can drop comprehensive coverage. If your car is worth $3500, then it doesn’t make much sense to pay about say $450 for such a coverage. If you love to travel, there’s a great way for you to reduce expenses without compromising the enjoyment. Choose your travel when the prices are lowest. Doing so, you can enjoy staying at good hotels without paying more. The places will be less crowded, too. Choose to fly during the shoulder season; the rates are lower that time. Also, now that you’re retired, target the cheaper mid-week airfare. You can also group your multiple small trips to a big trip. How can you do that? It is not that difficult. Just plan your own schedule. This way, you can save a bulk amount and also roam to several places. It is not that difficult to cut about $10 from some of the categories of your allocated budget. For example, you can reduce $10 from your food cost, clothing, miscellaneous, eating outs, etc. and save an additional $100. That means you will save $1200 annually. Not bad and not that difficult! Make sure you keep this amount aside; otherwise you won’t realize how much you’ve saved in a year. There are free fun activities at the relatively bigger and organized cities. You can go to public libraries, parks, county fairs, watch theatricals by amateur groups, etc. You just have to look around for such activities. There is another advantage of visiting such places. You can make friends with like-minded people and take up a new hobby. That’s a great way to enjoy your retirement days… isn’t it?